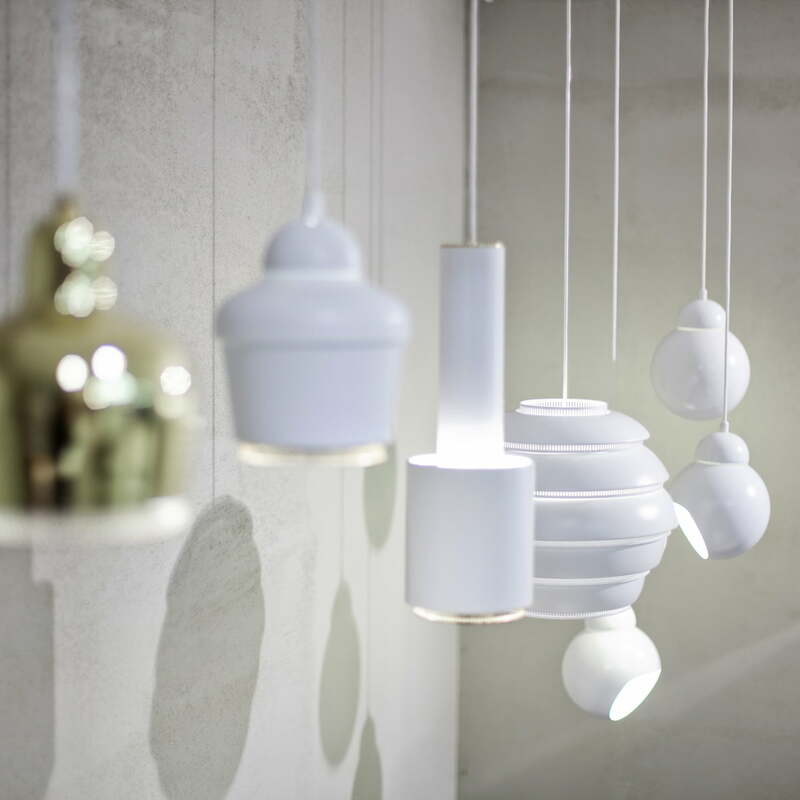 The Pendant Lamp A110 by Artek, also known as the Hand Grenade, was designed by the world-famous architect and designer Alvar Aalto in 1952. 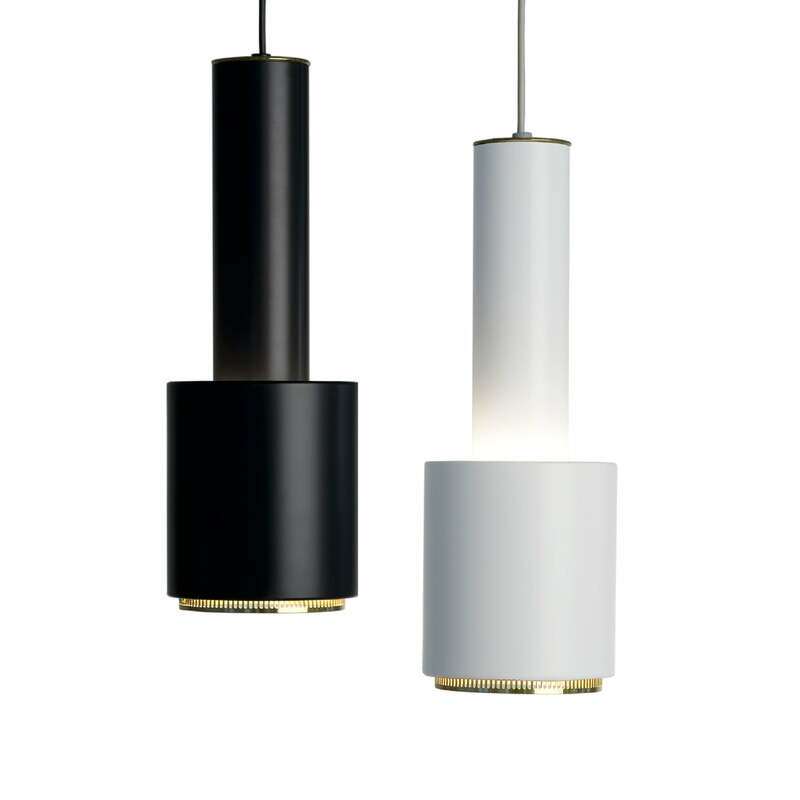 The lamp consists of two steel cylinders, one inside the other one. At the point where the two cylinders meet each other, the light is reflected upwards. 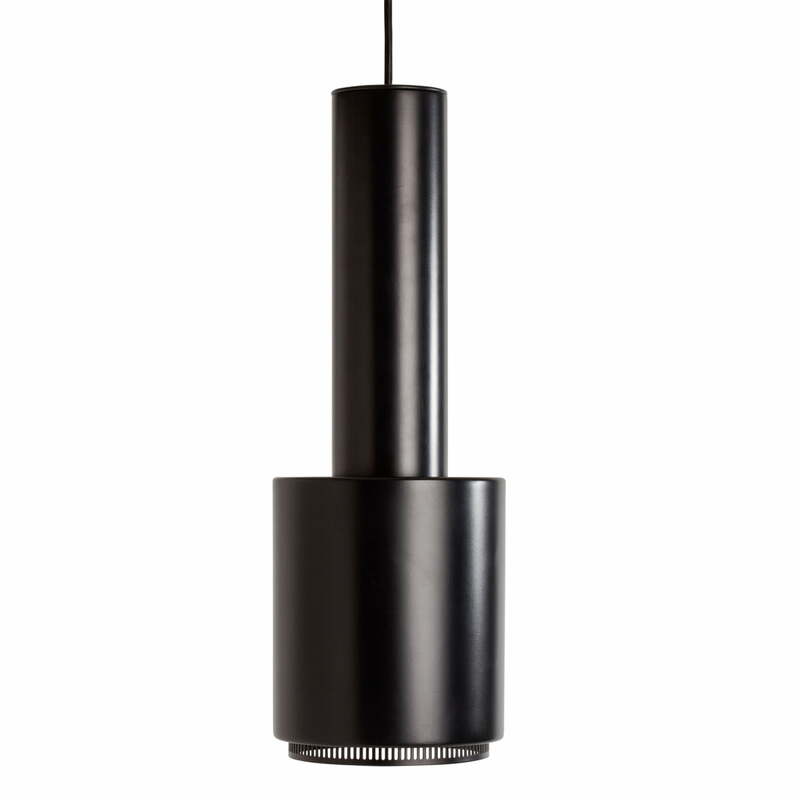 With the perforated, brass finished steel ring, the lamp has an elegant detail, which allows the light to be diffused. 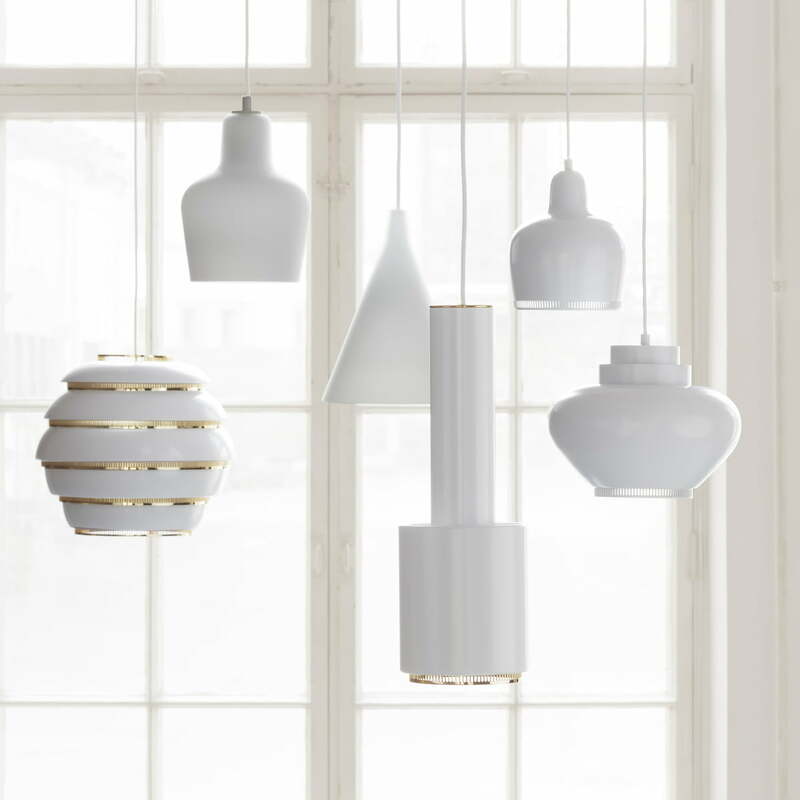 The lamp look particularly good alone or in a group above the dining table. 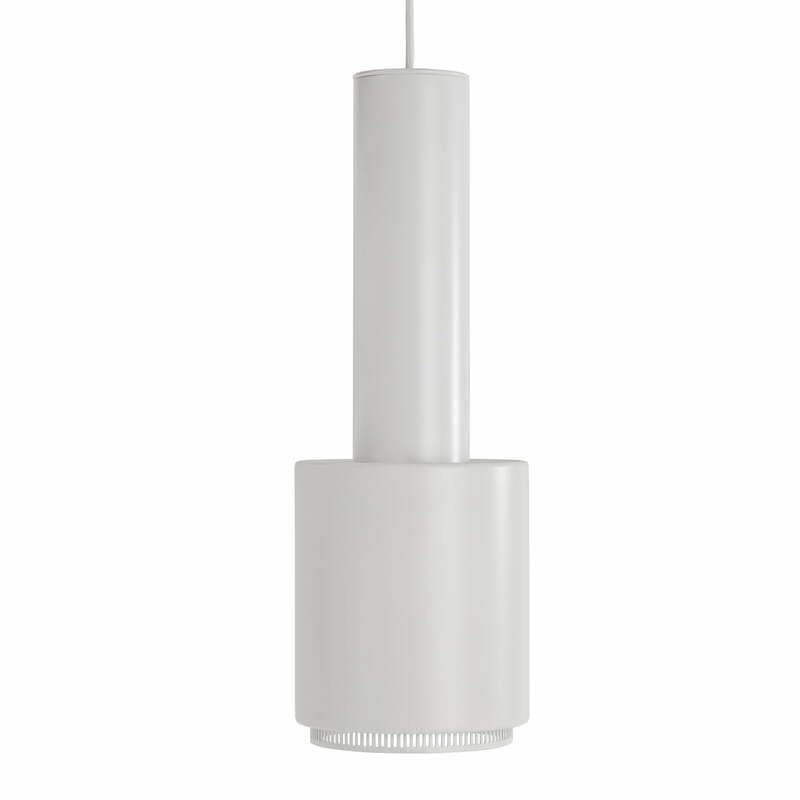 The pendant lamp by Alvar Aalto for Artek is available in different colors.